Prayers to St. Joseph, the foster-father of Jesus, date back almost as far as Our Lord’s time! Although he came from King David’s noble lineage, St. Joseph (left) lived a life of great humility and devotion to his Holy Family as a carpenter. 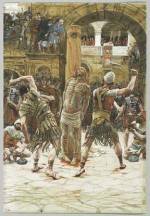 Matthew’s gospel describes him as a “just man” (1:19). He is the patron saint of the Universal Church, and people invoke his aid for workers, families, home buyers and sellers, and the grace of a happy death, among other things. St. Thomas Aquinas once noted that St. Joseph is unique among patron saints in that he is able to assist us at anytime for anything. Oh St. Joseph, do assist me by your powerful intercession and obtain for me from your divine son all spiritual blessings through Jesus Christ, our Lord; so that having engaged here below your heavenly power, I may offer my thanksgiving and homage to the most loving of Fathers. Oh, Saint Joseph, foster-father of Jesus, most pure spouse of the Virgin Mary, pray for us daily to the same Jesus, the Son of God, that we, being defended by the power of His grace and striving faithfully in life, may be crowned by Him at the hour of death. Amen. 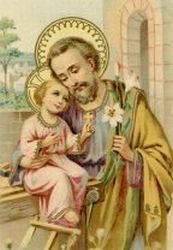 Blessed St. Joseph, I consecrate myself to your honor and give myself to you, that you may always be my father, my protector and my guide in the way of salvation. Obtain for me great purity of heart and a fervent love of the interior life. After your example, may I perform my actions for the greater Glory of God, in union with the Divine Heart of Jesus and the Immaculate Heart of Mary. 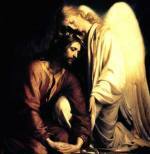 Pray for me, Saint Joseph, that I may experience the peace and joy of your holy death. Amen. Glorious Saint Joseph, spouse of the immaculate Virgin, obtain for me a pure, humble, charitable mind, and perfect resignation to the divine Will. 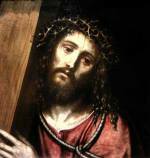 Be my guide, my father, and my model through life that I may merit to die as you did in the arms of Jesus and Mary. Amen. 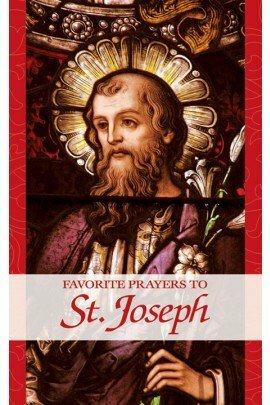 There are additional prayers to St. Joseph listed here to help give us the kind of comfort and strength that he no doubt gave Jesus and Mary. We can truly thank God for St. Joseph’s dedication to his Holy Family.